This is a great little series of books that I use in my own homeschool. My preschooler uses them for science (See A Simple Way to Teach Preschool Science) and my first-grader is beginning to use them as readers. As always, the giveaway will be open for the first 7 days of the month (October 1 at 12:00 AM till October 7 at 11:59 PM). Please take note of the entry options because some are mandatory (participation in the discussion below, ‘Like’ me on Facebook, and subscribe to the newsletter –last two can be found on the right sidebar) and some entries you can fill out every day! Thanks to everyone who gave feedback on our new feature Bookshelf. I will consider every one. Stay tuned as new categories are added. Happy Canadian Thanksgiving! Awesome books to teach children the geographical places and animals that surrounds our planet. I like how organized the bookshelves are. It’s very easy to find posts on a specific subject. I’m going to visit again for my two youngest ones. My niece and nephew started kindergarten this year and just started to read. These books would be awesome for them. My daughter is telling me that she wants to be a vet when she grows up so I know that she’ll love these books! Great books. I’m sure my daughter will love it. These books are awesome! What a great assortment. These would be great! I think my six year old son would Love these books! Hes really into animals right now! I think this would be a helpful set for animal lovers! I appreciate all the different categories, but I always look for the most ideas for language arts, as that is where we struggle a bit. These do look like fun books. Even more older, accelerated reader loves learning about animals from even simple books. My lil girl will be learning about animals the next week so this science books will be very handy for her. Unit study, science readers, support resource, even lil bit of geography or social study? Oh yes very good set. These look like wonderful set of books and my little guy would love them! Thank you so much for the chance to win! my boyfriend’s cousin just had a baby and this would be wonderful for her. My children would love to learn with these books. They would keep my kids interested. My son and daughter would love to add these to our curriculum. My son & daughter would love to add these to our curriculum. We love science! The more science books, the better around here! I would love these books to read to my son to teach him about animals. I especially love the shark book. I don’t homeschool but these books look like a great resource and I’d love to share them with my children! All are welcome here, Julie! 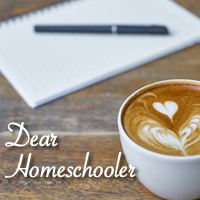 🙂 We, as parents, are our kids’ first teachers, whether we decide to homeschool or not. I am very pleased to see a special needs/sensory section and also I like that you can sort by grade. I have been looking for some science books for our homeschool curriculum and these look like they would be nice. These books look great – sort of like Zoobooks magazine in book form. I like that it is arranged by subject. You should be able to find something that you are looking for that way. I love how the Bookshelf is organized, but since you’re asking people to put all kg and preschool stuff in that category, we need a OTHER or “IN GENERAL” category there for stuff like Unit Studies, Theme Based Studies, General Kindergarten Strategy, etc. And in OTHER we really need an OTHER section *grin*. Others categories I would have there is PLANNING, and Educational Practice and Philosophy.